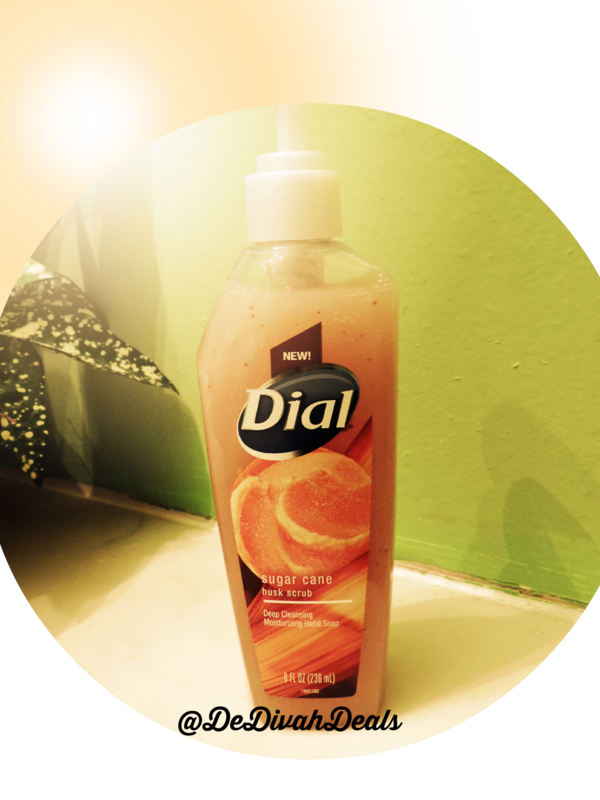 Disclosure: The Dial Brand provided me with a FREE sample of Dial Sugar Cane Husk Scrub Hand Soap to facilitate this review. All opinions are 100% my own. Hello friends, I hope all is well in your world. Have you finished all of your Spring Cleaning yet? Thankfully, last weekend I was able to get most of the indoor chores done, so next week we’ll be heading outside to get the yard and deck ready for the longer, warmer days ahead. Along with getting the lawn ready for planting, we will also be cleaning the outdoor furniture and cushions as well as power washing the siding and walkways. Working outside in the yard is very therapeutic but it can also be very messy so this bottle of Dial Sugar Cane Husk Scrub Hand Soap will definitely be put to good use. Dial Sugar Cane Husk Scrub Hand Soap is the newest member of The Boutique Collection Hand Soap line from Dial and not only does it smell sweet like sugar cane, but it also a deep cleansing hand soap that moisturizes and keeps your hands smooth. I also put a bottle in the kitchen to use before and after preparing meals because Dial Sugar Cane Husk Scrub Hand Soap can be used by the entire family, and my men think the micro-scrubbing particles are great for removing dirt from their hands. 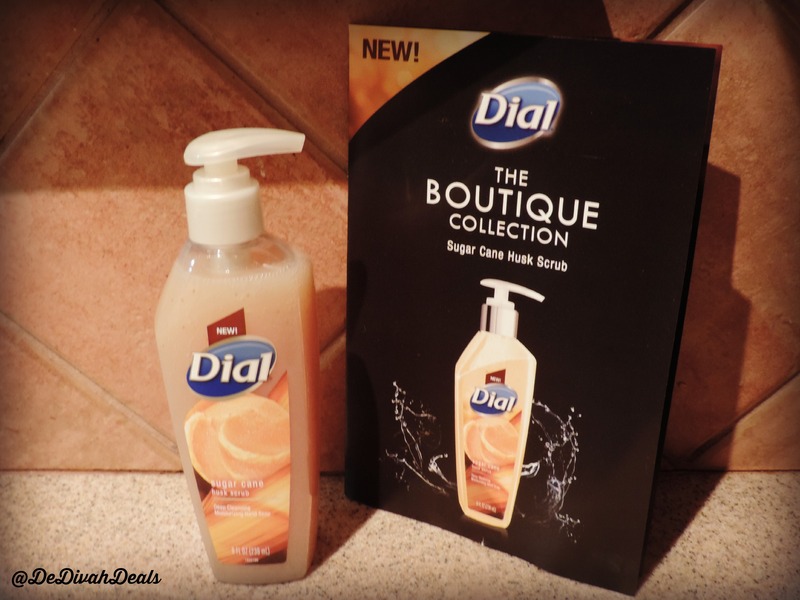 Read more about the new Dial Boutique Collection on their Facebook page then leave a comment below with your favorite soap scent. 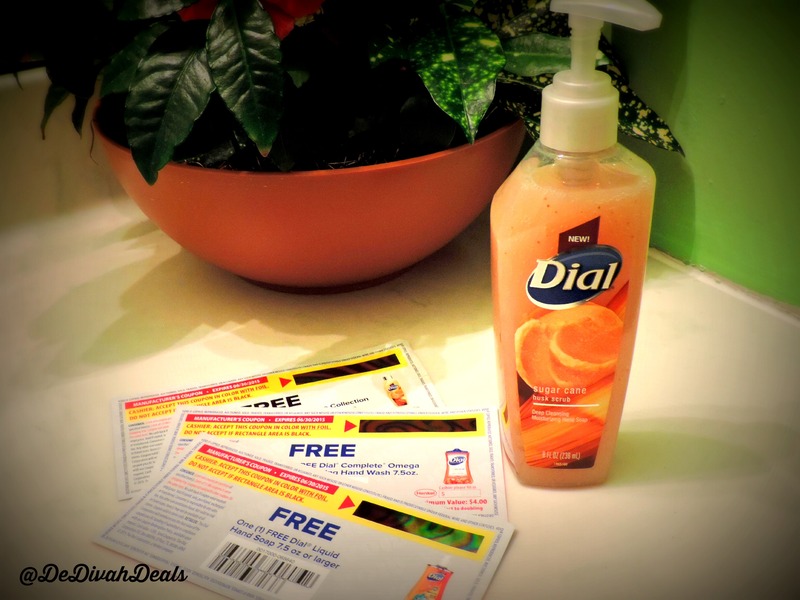 Thanks to Dial I am also able to give away a coupon to three (3) lucky readers, so enter this Rafflecopter Sweepstakes today for your chance to win a FREE Dial Hand Soap, 7.5 oz or larger (open to U.S. residents only) contest ends at midnight on April 4th. Lauren, thank you for entering, hope your weekend is wonderful. Elena, that’s a great choice, thanks for entering! The sugar one sounds like a winner otherwise I love citrus or vanilla scents. Yes, the Sugar Cane smell is awesome – good luck with the entry. Oh…all the favorite scents of a bumble bee as well – lol Thank you for your entry and good luck! Either vanilla or a fruity scent. Thank you and good luck with your entry. I have only ever used the Dial body washes. I absolutely love them. I will more then likely give each of the Boutique collection scents a try before deciding on just which one I like best. Thanks miss lady! Hope you are enjoying the week. Generally I prefer citrus or herbal scents for hand soap. Cynthia, I like using a citrus scent in the kitchen. Thank you and good luck with your entry. I really like the scent of lavender soap. Thank you Debbi, good luck with your entry and have a wonderful week. Ashley, that’s a great choice – good luck with your entry. Thank you Hillary, good luck with your entry and enjoy the rest of your day. I love the scent of lavender soap. Christine, lavender is such a soothing and relaxing scent. Good luck with your entry. I like the scent of fresh linen or clean cotton. Cathy, that scent reminds me of childhood. Thank you and good luck with your entry. Thanks, and good luck with your entry. I hope you had an awesome weekend! Neha, yes both are great scents. Have a wonderful day and good luck with your entry. I always like a citrus scent. Thank you Lisa, good luck with your entry and have a wonderful weekend. I like citrus or sweet scents! Deborah, thank you, and good luck with your entry. I like the citrus scents. Erica, thank you and have a wonderful weekend. I like lavender or citrus scents. Thank you for entering, wishing you a wonderful weekend! I love anything citrus for the kitchen, and my favorite bathroom soap scent is cherry almond. Missa, oh Cherry Almond smells yummy. Thank you for entering and have a wonderful weekend. Lisa, thank you, good luck with your entry and enjoy the weekend. My fave soap scent is lavender. Stephanie, I love lavender because it’s such a calming fragrance. Good luck with your entry. Lisa, yes, that is a lovely scent. Good luck with your entry and enjoy the weekend. I love coconut scented soaps. Oooh Jeninifer, I love that scent – tropicals are great. Have a wonderful weekend. Victoria, yes, it has become my favorite. Enjoy the weekend. My favorite soap scent is anything citrus like orange or lemon. Laurie, thank you, they are great scents for the kitchen. Have a wonderful weekend! I’m using this too! I really like how well it softens my hands without being to harsh of a scrub. Yes, sugar scrubs are great, I made one with coconut oil and white sugar which I use on my feet. I hope you had a blessed Resurrection Sunday. Oh snap, how did you miss it, oh well hope to have another one soon!